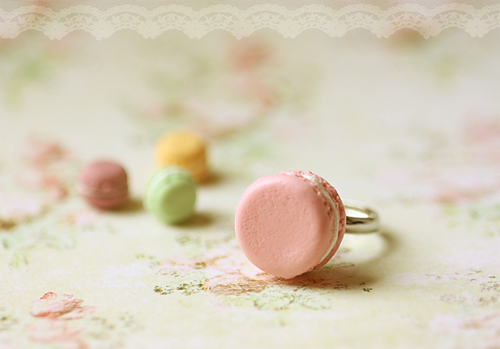 Food Jewelry - French Macaron Ring in soft pink. Macaron measures approximately 1.8cm wide and 1.1cm tall. Please let me know if you like this in any other colour. Please do not wear this ring in the shower.